What Is the Best Time of Year to Upgrade Your Home's Windows? What Is the Best Time of Year to Upgrade Your Home’s Windows? 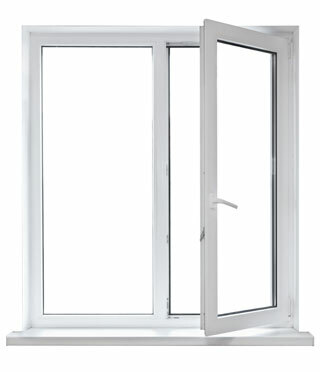 Your windows provide clear visibility and added ventilation for your home. When these essential components are broken or damaged, arranging for residential glass repair in Houston can protect your property and your family against unwanted insect intruders and other threats to the integrity of your home’s perimeter. Replacing your windows can also increase the value of your home and ensure greater security for you and your family. Choosing the right time of year to install replacement windows can help you manage disruptions and climate control issues more effectively. Here are some guidelines for timing your window replacement project to ensure optimal convenience for your family. In general, moderate temperatures are best for your window replacement project. The caulking materials used to install residential windows can take longer to cure in very hot weather and may not adhere properly in colder weather. Hot or chilly temperatures can also make it less comfortable to deal with gaps in your home’s perimeter while windows are being removed and installed. Early to mid-spring and late fall are usually the best times to plan your Houston window installation project. Many Houston auto glass and residential window companies experience peak demand during the summer. By scheduling your project early, you can be sure of the most desirable and practical time slot for your window replacement project. Giving your residential glass company a little advance warning can help you achieve the most practical timing for your window installation project. 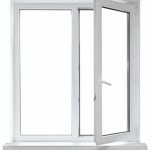 In some cases, your windows may require fabrication before they can be delivered to your location and installed. Factoring this into the scheduling of your window project can help to achieve more realistic timelines for completing the installation of your new windows. If your windows need residential glass repair in Houston or immediate replacement due to deterioration, damage or broken panes, do not delay in contacting your local residential glass company to schedule an appointment. Many companies work during every season of the year and can provide you with emergency replacement services on a priority basis. Apple Glass Company is widely known as the premier Houston windshield replacement company. We also offer comprehensive residential glass repair, replacement and installation services for homeowners in our area. Whether you need a single pane replaced after an accident or a full-scale window replacement project, Apple Glass can deliver the right solutions for you and your family. Call us today at 713-680-1400 in Houston or at 281-296-0600 in The Woodlands to request a free quote from our glass technicians. We look forward to serving all of your residential and automotive glass needs. This entry was posted in Windows and tagged Houston Auto Glass, Houston Windshield Replacement, Residential Glass Repair in Houston. Bookmark the permalink.